I love bags…I freely admit have far too many of them. But I have never found that perfect bag that bridges the gap between an everyday bag and a camera bag. Many camera bags are too big for me…I am only five foot nothing, and if the bag is bulky, I look like the bag is carrying me! I also didn’t want a bag that looked like it contained a camera or two…nothing attracts thieves more then bag that screams “camera” or “laptop”! And many camera bags have the flap over messenger bag style…I wanted a top zip design. I am always worried with flap over bags that something might fall out if it is not secured properly. So it has been an ongoing search for many years! Then I recently discovered the gorgeous ONA Bags while on one of my “down a rabbit hole” experiences on Instagram. ONA was founded in New York City in 2010, and their high quality range now includes messenger bags, briefcases, backpacks and shoulder bags. And if you are wondering, ONA is Swahili and means “to believe”, “to feel” and “to experience with the eyes”…things that all relate to being a photographer, not matter whether amateur or professional. In a moment of madness, I found there was a retail store in the city which carried the ONA range, so I dropped in to see the bags in real life. 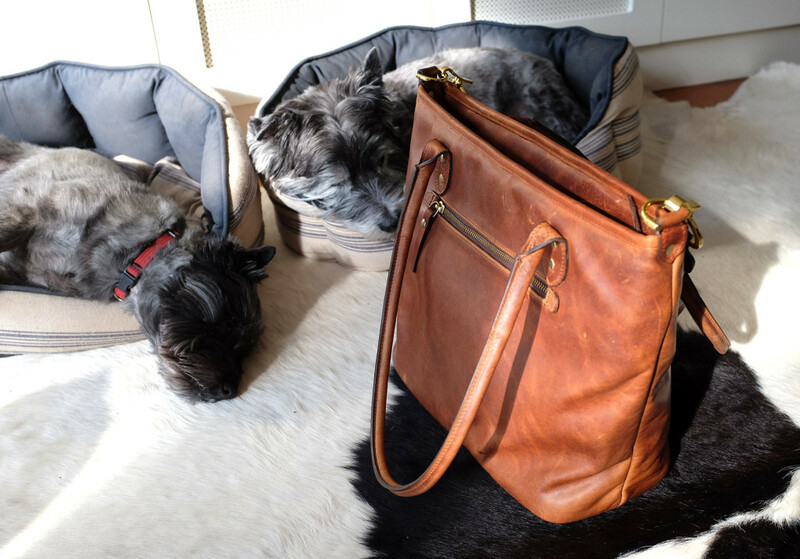 Which was a mistake as I fell in love with the Capri at first sight…a top zipped tote in gorgeous leather…and then with great reluctance, left it in the shop as it was also way out of my budget…you may have seen it mentioned in my last Taking Stock post. But then all my Christmases and birthdays came at once last weekend…my husband presented me with a rather large box, with the big letters ONA on it. And yes, I am now a very excited owner of my very own handcrafted ONA Capri bag! This bag is not too big, yet large enough to carry at least one camera…or more…plus all my essentials. It looks stylish, and I love the vintage look which goes perfectly with my retro Fuji cameras! Inside, there are dividers set up for cameras/lenses etc, plus two small interior pockets, suitable for a phone. You can also slip an ipad, or even a small laptop (up to 11 inch), alongside the camera section, depending on how much other stuff you are squeezing in! 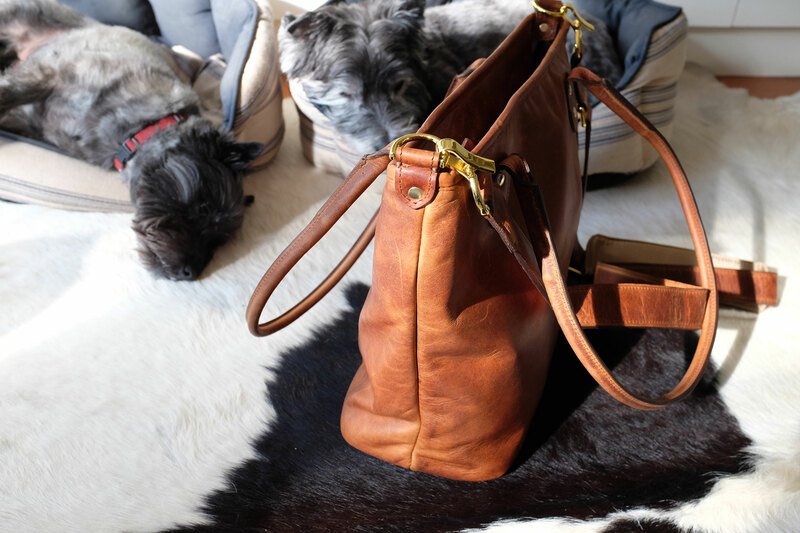 The ONA Capri bag also has large handles, big enough to wear on your shoulder, plus a sturdy shoulder strap. 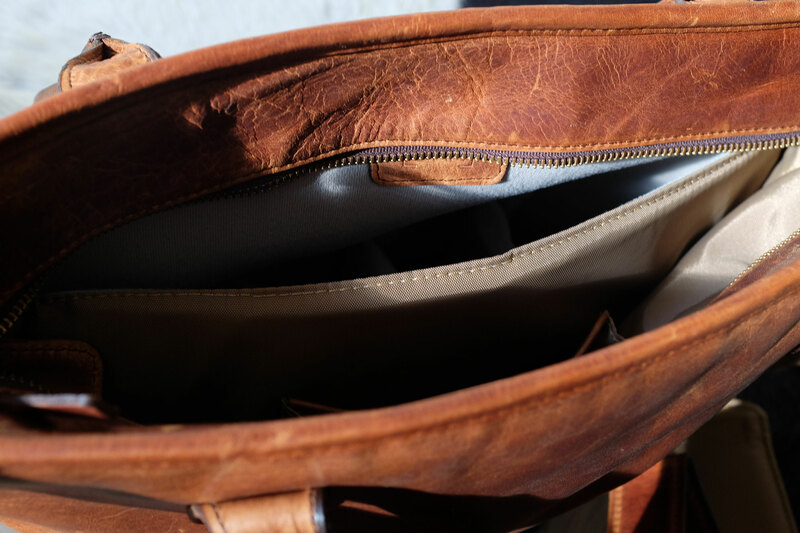 There is an outside zipped pocket…something which I find is an essential part of a bag’s design…I hate having to delve into the bottom of a bag to find my keys! And the neat thing is, if you don’t need to carry your cameras, you can just use the bag as a everyday tote and/or laptop bag. 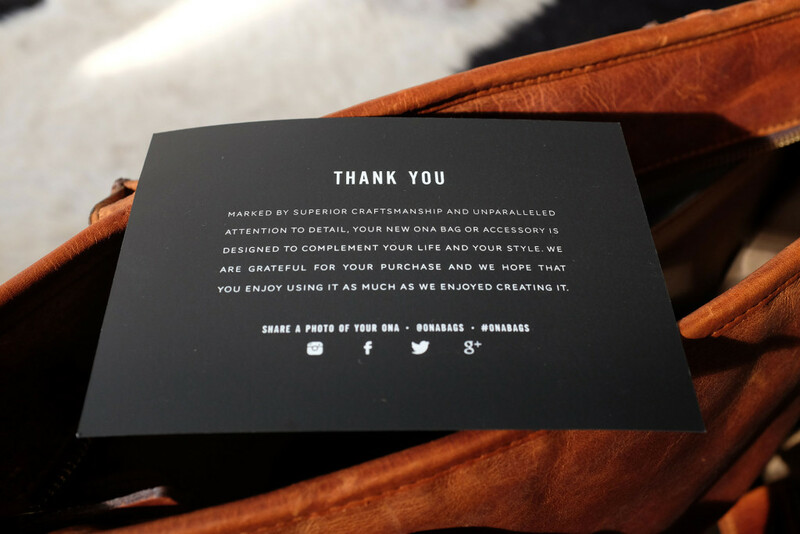 This bag has character and I like that….and it will continue to develop it’s uniqueness as the leather ages. I am hoping that this is the start of a very long friendship, which will see us travel through life’s adventures, one photo at a time! Click here to visit the ONA Bags website for more information!